Junior Cheyenne Hudson defends against Florida State during the Panthers’ eighth straight loss Thursday night. 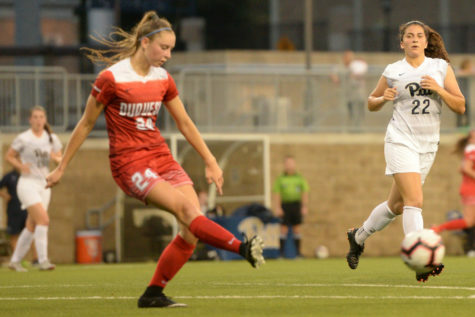 In another tough game for the Pitt women’s soccer team, No. 14 Florida State managed to dominate despite the definitively not-Florida weather. The Panthers lost to the Seminoles, 4-0, on Thursday night at Ambrose Urbanic Field. The Panthers (4-10-1) lost their eighth straight game of this season, the seventh in which they failed to score a goal. It was also the fourth game of the losing streak where they gave up three goals or more. Despite the tough loss, redshirt senior forward Taylor Pryce says that she is impressed with how the team has grown and that it showed in the game. Florida State was the better team overall in the first half, but was especially dominant in the first 20 minutes where they took the lead and had six shots. 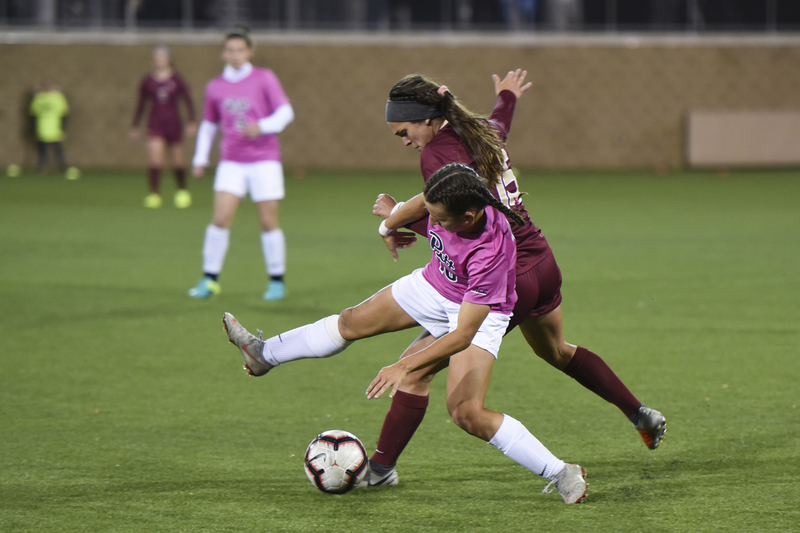 The Seminoles attack began in the fourth minute when sophomore defender Anna Patten got a header from a cross by junior forward Deyna Castellanos — but it went wide left. A free kick from Castellanos threatened to go under the bar in the seventh minute, but rather than going in, it ended up going onto the top netting of the goal. The Panthers got their first chance at a goal when Pryce ran down the right side of the field in the eighth minute and sent a cross in, which was caught by Seminoles goalkeeper redshirt junior Caroline Jeffers. Florida State went right back on the offensive in the 11th minute as Castellanos turned and passed the ball to senior midfielder Kaycie Tillman, who took a shot right into the hands of first-year goalkeeper Katherine Robinson. 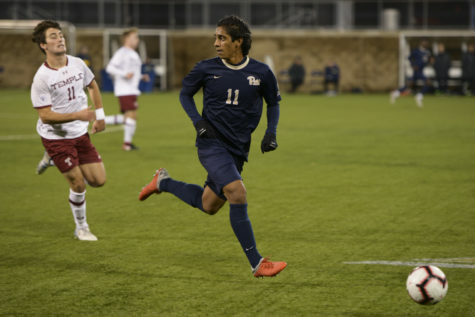 The next chance saw the Seminoles go in front of the Panthers with sophomore midfielder Gloriana Villalobos cutting from the left and then the middle, giving it right to Castellanos who curled it into the bottom left corner in the 16th minute. Florida State had another chance about a minute later to increase their advantage, as first-year forward/midfielder Kristina Lynch took a shot from outside the box and it ended up hitting the crossbar in the 17th minute. Lynch was quickly involved again as she ran to the end of the line and cut to the middle in the box. She passed it to Tillman, who put it right for Villalobos to shoot, but her shot was blocked for a corner. 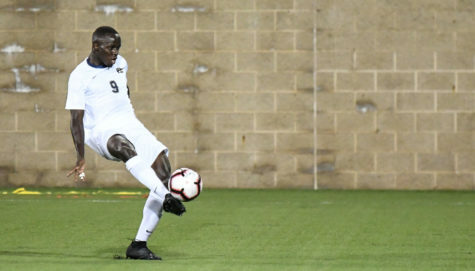 The 26th minute brought another chance for the Seminoles, but first-year midfielder Yujie Zhao sent it way wide. Natalia Kuikka also had an opportunity in the 34th minute off the corner and it resulted in her sending a shot from way out that curved up and high above the goal. 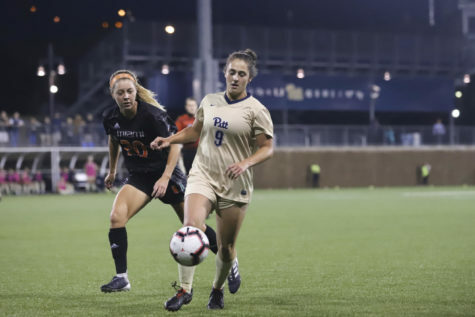 Pitt got a chance in the 31st minute when redshirt senior midfielder Ashley Moreira put a good through ball for first-year midfielder Mikayla Alcorn, but she was blocked off by a Florida State defender for a goal kick. 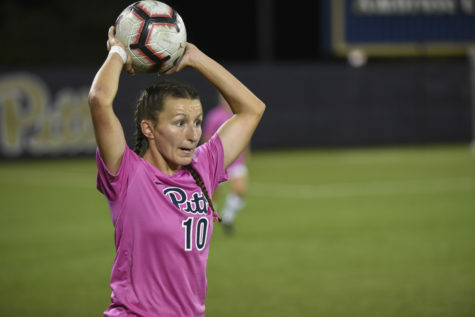 The first shot for the Panthers came in the 40th minute as first-year defender Madeline Gravante took a shot from far outside the box, and Jeffers punched it over with her right hand for a corner. Sophomore midfielder Dixon Veltri took a shot on the corner, but it was blocked. 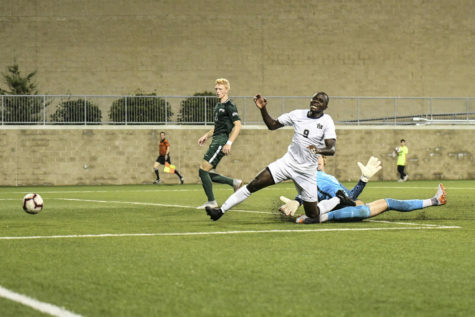 On the Seminoles last chance, they doubled their lead in the 42nd minute. Lynch sent a good ground cross across goal that was right at redshirt sophomore forward Kristen Mcfarland, who tapped it in to send them into the half up 2-0. The 15-minute halftime didn’t stop Florida State from scoring more goals and maintaining control over the entire game. Castellanos took a free kick in the 47th minute, which was tipped by Robinson and bounced off the bar. 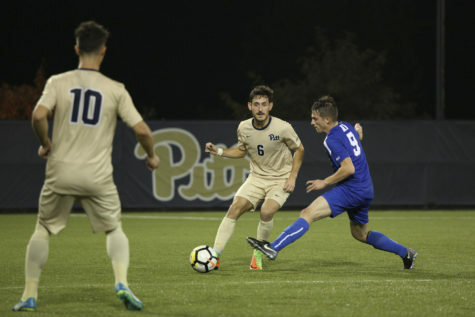 Patten got to it and scored easily before any Pitt defender could get close, increasing their lead to 3-0. 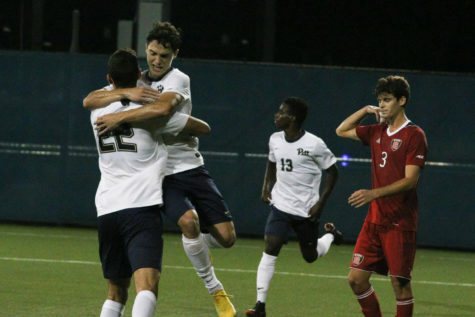 The Seminoles continued to pressure even after being up three goals. Patten also had a shot in the 50th minute, but it was an easy save for Robinson. First-year midfielder Jaelin Howell took a shot from outside the box, hitting it far over the crossbar. Patten got her head on a corner in the 53rd minute for a goal kick. By the 63rd minute, Florida State struck again to get the lead up to 4-0. 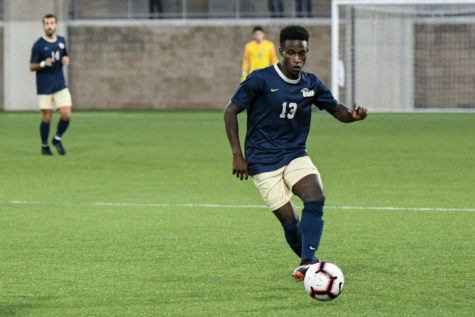 On the corner, the ball bounced off the head of Dixon Veltri and it came right back out to Kuikka, who sent a driving shot that took a slight deflection off the face of Moreira to end up in the back of the net. Seminole Senior midfielder Dallas Dorosy could have made it five in the 73rd minute as she got a pass from senior defender/midfielder Olivia Bergau, who cut it across to her, but Dorosy’s shot was blocked by Panther sophomore defender Aideen O’Donoghue for a corner. From about the halfway line, a long ball from redshirt sophomore defender/midfielder Malia Berkely dropped right at the feet for a volley by senior midfielder Megan Connolly, who ended up not getting good contact. This led to a weak shot and an easy save for Robinson. The Seminoles had more chances to score in the last five minutes, but Robinson came up big to keep their lead where it was. Connolly played a threatening pass in the 86th minute to Makayla Thomas, who ran to score, but she slipped before she shot and Robinson was able to parry it out for a corner. On the corner, Dorosy got open for a header and should have scored, had it not been for a athletic play from Robinson, who jumped up and punched the ball over with her right hand. She also made one more save in the 89th minute when Bergau crossed it in the box and Dorosy came so close to scoring, but Robinson put out her left foot and it went out for a throw-in. For an acclaimed head coach like Randy Waldrum, an eight-game losing streak is not something he is used to after winning National championships at Notre Dame. But he says they can’t give up and hopes they can win before the season closes. The Panthers will have two more games this season, including Sunday, Oct. 21, against Notre Dame, which is the last home game for the seniors. 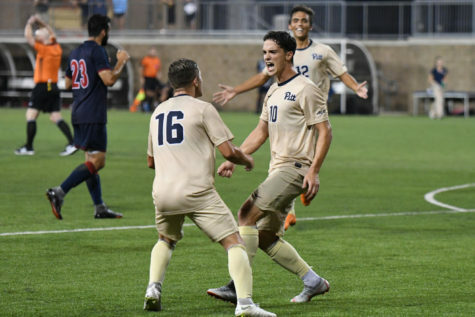 The season will end with a trip to Boston College to take on the No. 8 Eagles. O’Donoghue said that she just hopes that the team can go out and beat one of these tough teams before the season ends and get that first ACC win.